The next-generation Fiesta ST subcompact hatchback. Editor's note: An earlier version of this story misstated the number of generations Ford has engineered and assembled the Fiesta. Ford Motor Co. created four distinct variants of its next-generation Fiesta subcompact to cater to a wide range of customers. The eighth-generation of Ford’s small car features a standard Titanium trim; a luxury Vignale variant; a high performance ST-Line; and a sporty Active trim. The vehicle features a refreshed grille, but is largely similar in size and shape to the current car, Ford’s best-selling model in Europe. The Fiesta features a more spacious and refined interior that executives hope will improve its profitability in a competitive segment. The Vignale version, for example, features an 8-inch touchscreen display that allowed Ford to cut 20 buttons from its center stack. "As the small car segment continues to diversify, our next-generation Fiesta will deliver an option for every driver – from downsizing customers who want big-car quality in a small car package, to growing numbers of crossover consumers – reinforcing our product diversity and growth potential in the important B-segment of the European market," Ford of Europe CEO Jim Farley said in a statement on Monday. 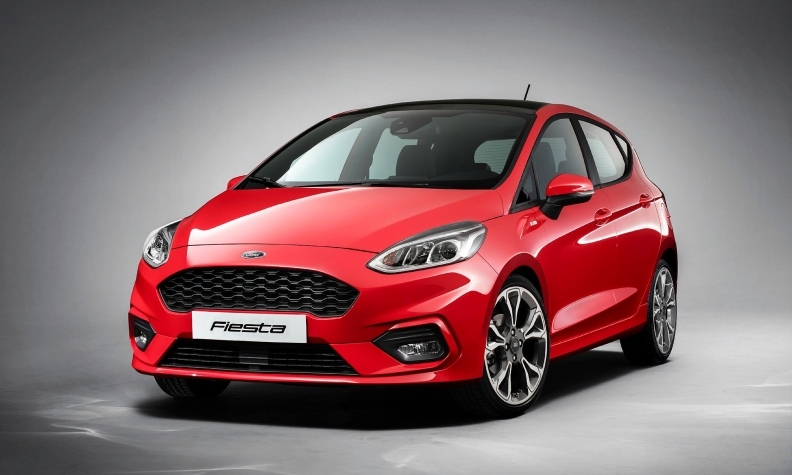 Ford is adding upscale features to the Fiesta in Europe to distance it from its new Ka+, which targets budget customers. The Fiesta's new design has a cleaner, more uncluttered look compared with the current model. A Ford spokesman said the Tuesday event is aimed at the automaker’s markets in Europe and the Middle East and Africa. Ford isn’t expected to offer many details about the North American version of the Fiesta, although it’s expected to be in showrooms in 2018 and will continue to be built at Ford’s factory in Cuautitlan, Mexico. “We’ll have more to say at a later date,” Ford Canada Communications Manager Michelle Lee-Gacey previously said in an email to Automotive News Canada. Fiesta sales in the U.S. have dropped 27 per cent through October. Sales of the vehicle have also plummeted in Canada, where the automaker has sold 2,771 in the first 10 months of 2016, down from 4,746 in the same time frame a year ago. It’s Ford's best-selling model in Europe with sales of 253,180 through October, down 5.8 per cent on the same period the year before, according to JATO Dynamics market researchers. It was Europe's No. 3 best-seller overall in the first 10 months after the VW Golf at No. 1 and the VW Polo at No. 2. The European versions will be single-sourced from Ford’s factory in Germany. Nick Gibbs contributed to this report.